I’ve been waiting for this one: Today Governor Palin endorsed Star Parker for Congress. I’m proud to endorse Star Parker for California’s 37th Congressional District. Star has an incredible story and a passionate commitment to her community and our great nation. Rising up from being a single mom on welfare, Star worked hard to build a non-profit network that seeks to reduce poverty and create a brighter future for America by promoting free market solutions and personal responsibility. There is no doubt that she will bring a new level of enthusiasm and energy to Washington for American values, limited government, and economic growth. She’s a dynamic leader who is committed to building a more prosperous environment for the families in her district and ushering in positive change. Please join me in supporting Star and her message of hope, opportunity, and self-reliance. 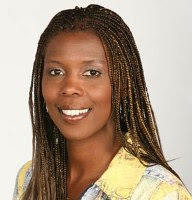 Visit her website at www.StarParkerforCongress.com and follow her on Facebook and Twitter. Both Governor Palin and Star Parker are role models who inspire others to greatness. The Governor grew up hunting and fishing in the “Last Frontier.” Star Parker had a more troubled upbringing and became a woman dependent on the government–until she saw the light. In spite of being from two different worlds, so to speak, today they both share an incredible love for America, a deep appreciation for hard work, and a commitment to common sense solutions. They’re both willing to serve to see this nation return to both fiscal and personal responsibility. I wrote more about Star Parker in March here. 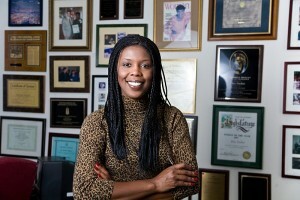 So how does Star Parker feel about Governor Palin’s endorsement? I’m proud to receive Sarah Palin’s endorsement today. I, too, am excited about this particular endorsement. 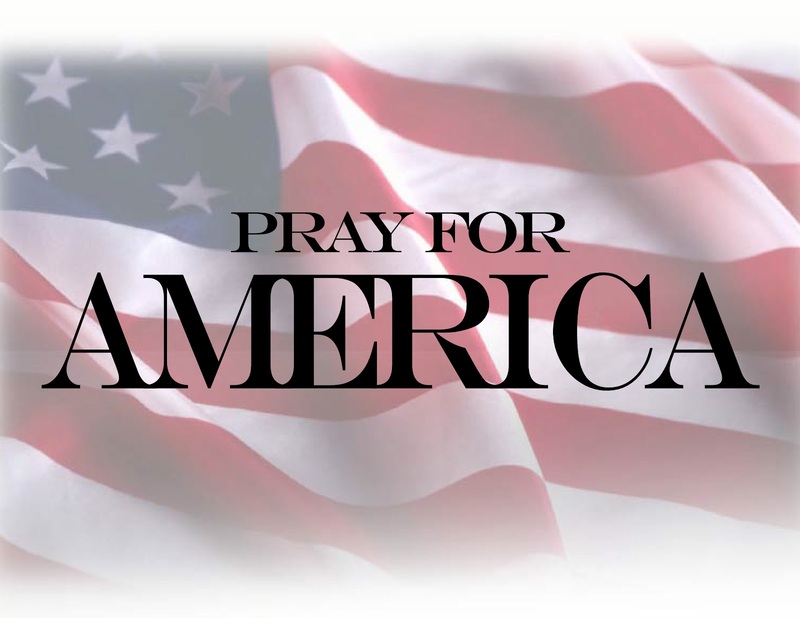 Star deserves it, and I look forward to Governor Palin helping send her to Washington. Now, scanning the political landscape, here’s a new “Mama Grizzlies” field report! There are great guys running for office all over the place, but I hope you will join me in supporting three more bold Commonsense Conservative women who are willing to put it all the line to get our country back on track: Cathy McMorris Rodgers, Star Parker, and Mary Fallin. 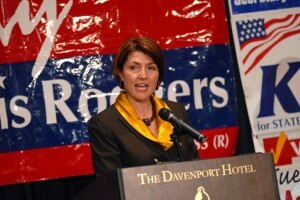 Cathy McMorris Rodgers is running for reelection to serve in Congress. She knows the value of hard work. She grew up as a farmer’s daughter and was the first in her family to attend and graduate from college. Her roots in eastern Washington go back generations. Cathy is a pro-family, pro-business fiscal conservative who has an honest, direct plan for action in Congress, which she calls her “Patriot Pledge.” It’s a 10-point agenda focused on fiscal health, tax reform, and other common sense solutions. Further, I have deep respect for Cathy’s strong voice for families who are touched by those with special needs. She formed the Congressional Down Syndrome Caucus which promotes research, education, and treatment to help improve the quality of life for those with Down syndrome and other challenges. Cathy and I share a personal bond as proud moms who’ve both been blessed with sweet sons born with extra chromosomes. Perhaps it’s because we learn so much from these children and can see how they make the world a better place that I am confident that Cathy’s respect for life, and her commitment to protecting America’s Constitution, truly benefits all Americans. We need her in Congress, so please visit her website at www.cathyforcongress.com, follow her on Facebook and Twitter, and please support her campaign. Mary Fallin is another strong, smart conservative who I am proud to support. Mary is running for Governor of Oklahoma, and the Sooner State is fortunate to have her offer to serve in this new capacity. Mary’s another fiscal conservative with policy experience, political backbone, and real world knowledge that will serve the entire state well as she proves her mettle as Oklahoma’s next CEO. Her personal, professional, and political background gives her a healthy perspective on the challenges facing so many of our families and businesses. Mary truly understands public service, and she served her state with distinction in Congress and as the first Republican and first female lieutenant governor in Oklahoma history. Sharing the aforementioned foundational values of Cathy and Star and so many other Americans, Mary also understands the complexities of our domestic energy policy and has been a consistent voice for energy independence. 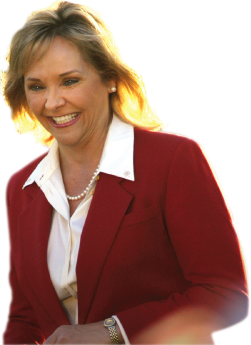 Please visit Mary’s website at www.maryfallin.org and follow her on Facebook and Twitter. I heartily endorse these liberty-loving “Mama Grizzlies.” They’ll do more than just growl about our challenges because they know how to work hard and protect America’s future by ushering a new era of prosperity and security. How? By proving their selfless service, common sense, and respect for the will of the people.